Barbara Cole Gates, Eating Lean and Green with SuperFoods to Save the Planet! Barbara Gates’ advocacy began on the local PTA (Parent Teacher Assoc.) almost 2 decades ago, advocating on behalf of children, the environment and animals all at once, with a focus on bringing plant-based vegan meals to her local school cafeteria. 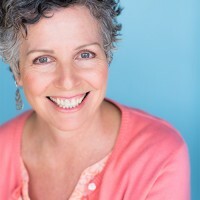 Her advocacy on the the PTA eventually led her to the CA State Capitol where she spearheaded the effort to pass the 2003 CA Healthy School Lunch Act (ACR 16), calling on Department of Education Nutrition Services to implement programs that support more plant-based vegan-friendly meals in school cafeterias. In 2009, Barbara founded Lean and Green Kids, a children’s eco-health education and advocacy organization to support the goals of ACR16. A large part of that effort has been to create nutrition/culinary education programs with a multi-cultural approach, including the vegan/vegetarian perspective. LGK’s multi-cultural nutrition education program, The Daily Scoop is gaining recognition and reaching thousands of students in schools around the country. She has presented in classrooms to over 1000 students in grades K-12, and her recently published children’s nutrition book, Eating Lean and Green with Super Foods to Save the Planet, may very well be the key for changing how nutrition is taught. Caryn Hartglass: You’re listening to It’s All About Food. How are you doing today? Good, it’s a great day! It’s a great day to be alive, especially if you’re alive, don’t forget that you’re alive! Just a reminder; you know sometimes we need these crazy, little reminders right? And I’m just saying it today because I forget and yesterday was a particularly special day for a reminder. Ten years ago yesterday I woke up after a surgery in a hospital, but I thought I was having fast-growing uterine fibroids removed and the surgeon told me I had ovarian cancer. Turned out to be advanced, 10-20% survival rate, and here I am ten years later. Woohoo! Still kicking, sill thriving, very happy, thank you very much. So just your reminder: breathe, ahhh, enjoy it, because we live to breathe and we breathe to live. And then some other things that we do for life, we drink water and we eat and sleep, I mean that’s really basically it. So if we could get a handle on those things and do them well life should be pretty good I think, simple thoughts. So, I can’t wait to speak to my first guest because we are going to be talking about doing just that, and doing it with the people who really matter, the young folk on this planet who we need to inspire and empower to make a difference because we need some differences happening very soon. Barbara Cole Gates is my guest and her advocacy began on the local PTA (Parent Teacher Assoc.) almost 2 decades ago, advocating on behalf of children, the environment and animals all at once, with a focus on bringing plant-based vegan meals to her local school cafeteria. Her advocacy on the PTA eventually led her to the California State Capitol where she spearheaded the effort to pass the 2003 California Healthy School Lunch Act, calling on Department of Education Nutrition Services to implement programs that support more plant-based vegan-friendly meals in school cafeterias. In 2009, she founded Lean and Green Kids, a children’s eco-health education and advocacy organization to support the goals of the Act, the California Healthy School Lunch Act (ACR16). A large part of that effort has been to create nutrition/culinary education programs with a multi-cultural approach, including the vegan/vegetarian perspective. Lean and Green Kids’ (LGK) multi-cultural nutrition education program, The Daily Scoop is gaining recognition and reaching thousands of students in schools around the country. She has presented in classrooms to over 1,000 students in grades K-12, and recently published the children’s nutrition book Eating Lean and Green with Super Foods to Save the Planet, which we’re going to be talking about today, which may very well be the key for changing how nutrition is taught. Barbara, hi! Caryn Hartglass: I’m reaching my arms out, I’m reaching out, trying to feel your astral form and give you an embrace, Barbara. Barbara Cole Gates: It feels wonderful Caryn, thank you, I do feel it. Barbara Cole Gates: I’m on speaker phone, is that okay? Am I coming through clear? Caryn Hartglass: I think its okay, what do the folks at PRN think? Test 1, 2, why don’t you talk a little bit more and we’ll see. Barbara Cole Gates: Well I don’t know if Caryn’s going to mention that she was an instrumental person in helping to pass the resolution, the Healthy School Lunch resolution in California. So in case that doesn’t come up I want to give a shout out to how you helped make that happen and that really is the foundation for everything that has come since. Caryn Hartglass: Thank you! Wow! Caryn Hartglass: Yeah, I got a “sounds okay,” so I think it sounds okay and everybody else does. You know, I was rereading our interview three years ago you were on this program, just to bring me up to date so I don’t ask all the same questions, but it was one of those amazing things. The right place, the right time, paying attention to the signals the universe sends out, where I just happened to be in California when you were looking for people to help go up to the capital and kind of campaign for this resolution concept that you had, and it really was a magical moment. Barbara Cole Gates: Oh my goodness, thank you saying that because you know what, full disclosure, I don’t know what I’m doing, I was a PTA mom. Everything that’s happened is just testament that when you make up your mind to do something and you know that, you know that why you want to do it, the how kind of takes care of itself, because I really just have to rely on the energies that the universe to kind of make things fall into place. Somehow, and I’m not a terribly spiritual person or religious person, but somehow this weird magic happens. That was the first and only time I’ve ever been at the capital, and look at what we did! And we weren’t professional lobbyists, and we weren’t, you know. We had passion and truth on our side, and it was pretty magical. Caryn Hartglass: Yeah! I remember, you know, we didn’t have a clue really of where we were going. You had an idea of people to see, but we didn’t have appointments or we didn’t know who was going to be there or what, and it was just the passion and the truth you’re right. It was amazing, and I will never forget you. Barbara Cole Gates: Well I’ll never forget you either Caryn. I’ll never forget, I’m not sure if you’re still a raw foodist or just experimenting then but I just remember you at lunch pulling out an avocado and talking about how you were eating more raw foods. The little details haven’t left me, it was a special time. Caryn Hartglass: I love eating, I just love eating raw avocados just as a snack, plain, traveling, it’s a great food! Barbara Cole Gates: Yeah, it is! And I’m going to use that as a segue over into our school lunch program and wouldn’t it be wonderful if the kids could eat avocados in the school lunch program. Avocados and other green and plant food is what our kids need more of, and I hope that some of the work I’m doing can help facilitate that. There’s a lot organizations working towards this, even the public health department, even the USDA. In the Healthy and Hunger Free Act, the USDA has made it mandatory for schools to serve beans and least once a week. And let me tell you why this is important, is it okay? Barbara Cole Gates: So one of the things I want people in our movement to know is that in the national school lunch program, which serves 30 million school lunches a day and maybe somebody can do the math on how many school lunches that is a year. Times about 200 school days a school year and summer school, 30million times 200, I’ve done the math but I can’t remember how many billions, billions and billions of lunches and breakfasts and snacks are served to our kids. Now 30 million kids is about three-fifths of all the kids in the United States, so well well well over half of all the kids in the United States rely on school lunches. And the kids who tend to rely on school lunches the most are kids most at risk for diet-related disease. And our school lunches, the only meat alternate, and meat has pretty much been conclusively linked to many of our health challenges. Too much of it, too many animal products can contribute to some of our biggest killers, cancer, heart disease, stroke, diabetes, obesity. The only meat alternate that’s allowed that isn’t laden with saturated fat, that isn’t cheese, or laden with cholesterol, eggs, or dairy products, is beans. And unfortunately our culture does not necessarily embrace beans like we should. And what’s exciting about beans, I don’t know if you’re aware, Caryn, or if any of your listeners are aware, but the United Nations has declared 2016 the Year of the Pulses. Pulse is a fancy European word for bean. Did you know that? Caryn Hartglass: I didn’t know that. This year, huh, 2016? Barbara Cole Gates: 2016 is the Year of the Pulses, and they have a beautiful webpage devoted to it and they put together an awesome video promoting beans, and they do it for environmental reasons and health reasons. Unfortunately the UN left out how it is a very wonderful solution to animals on industrialized farms as well, but it serves the health benefit, it serves the environmental benefit, and certainly as people replace their protein with beans it helps reduce our reliance on factory-farmed animals. So it’s the year of the bean, another great thing about beans is that the blue zones around the world, Caryn are you familiar with the blue zones? Barbara Cole Gates: Okay, so you know that it’s the five zones around the world where people live the longest in, they all have certain factors in common, one of which is that beans are their staple protein. So, beans are awesome! They’re multicultural and so what I am focusing on, which I think is fairly unique to most health campaigns is really trying to bring bean-based meals into the mainstream and make bean-based meals and bean-proteins the new normal. Caryn Hartglass: Awesome, and they’re cheap! Barbara Cole Gates: They’re cheap! Hello?! Caryn Hartglass: Beans are cheap! You can do everything with beans, from making sauces to pâtés, you can make chilis and stews and soups and cream sauces, you can even make brownies with beans. Barbara Cole Gates: Well here’s something else you can make with beans, and it’s on our website. You know, when you think about kids and school lunches, most of the time they’re bring a turkey sandwich or a ham and cheese sandwich, some of the luckier healthier moms are putting peanut butter and jelly between two slices of whole grain bread, but it’s hard to put beans between two slices of bread, but it’s awesome to create wraps with beans. So I want wraps to take over the world. All you need are beans and greens in the house and some tortillas, preferably whole grain rich, and we’ve got a whole new way to go to school with a handheld that’s so cool! Any kid that shows up with a wrap and some dip to dip it in, has got to have the coolest lunch box at the table. Barbara Cole Gates: So that’s one way to get beans into lunchboxes and hopefully into school cafeterias. And we’ve got nine different recipes, well 9+ recipes on the website and each one features a cool bean of the month, because another one of our, I hope we’re going to get to talk about the nutrition program that Lean and Green Kids’ has created, but one is we have a program that features a cool bean of the month, every month, and it has the cultural connection and so we have a recipe that matches that cool bean of the month. Barbara Cole Gates: Yeah and I’m bringing that saying back, “Cool beans!” They help cool our planet, right? Caryn Hartglass: Of course, I’m getting it, I’m getting it. I’m going to steal it and use it too. Barbara Cole Gates: Please do! Caryn Hartglass: Yeah, so I want to talk more about your programs and your new book but I just wanted to get back to the avocado for a moment. I remember reading something, I don’t know what or where, if you can help me, but it was about the USDA commodity foods that are allowed and recommended in schools and the formulas they have to make sure children are getting the right amount of protein, carbohydrate, and fat, the macronutrients, calories, etc. And it’s done it such a way that there’s actually some foods that are healthy that can’t be served or can’t be served in enough quantity because of their imbalance of the crazy ratios they’ve come up with because they’re not focusing on whole minimally-processed foods. So avocado is really high in fat. Caryn Hartglass: Change the world. Barbara Cole Gates: It could change the world; it could really be a huge shift in perception to that. And I’ve written a book and created banners for the school cafeteria that are big and beautiful and people can sponsor them and we just had our first school district have a look at them, well actually there’s two now. We delivered to two school districts our banners and the idea came about because the National Dairy Council has always provided huge banners, like the size of a billboard, with movie stars that say “Got milk?” It’s taken a long time to put my skill set together and figured out how I could do it, but we have now created an alternative to that, and the banners have gorgeous pictures of food that features beans, Asian noodles, burritos, salads, soups, and it says “Beans, the lean and green protein.” And so that’s the message that when these hang at one school, kids in the cafeteria, and there’s usually between I don’t know 500-1,000 kids at an average school, at least out here in California where I am, so you know at least 500 kids are going to get that message every single day now where they have never gotten it before. So I’m really excited, and the nutrition director at a local school district saw the banners, said she loved them and ordered one not only for every cafeteria in her school but her district office. So that she can start to change perceptions of the administration. So it’s very exciting and if any of your listeners want to go to the website LeanAndGreenKids.org you can sponsor a banner, its $30 to sponsor a banner for a school cafeteria and we can reach thousands of kids year after year after year. So I’m very excited. Caryn Hartglass: Very nice! Well I’m thumbing through this book, and is it targeted to a particular age group? Barbara Cole Gates: Well, the answer to that is yes, it should be appropriate for about K-3, and maybe K-4. You know, in doing this, I wanted to do it to the best of my ability and so I joined the Society for Children’s Book Writers and Illustrators and went to several workshops and went to a conference to try to figure out how to do this right. That’s why I’m pretty sure a good target is K-3, older kids aren’t looking at picture books anymore. While this is kind of not a picture book in the traditional sense, we don’t have an illustrator, but gorgeous photographs of children and food and nature. So that’s the target audience and the reason that is so so important is these are kids in their formidable years. Their beautiful open minds can receive these messages and retain them, it’s a simple message! That beans are an awesome protein that can help save the planet and save animals. I think what’s exciting about this message is that it’s a nutrition message that kids haven’t heard before, it talks about nature and the environment and protecting animals, and so it gives kids a reason. I think it can motivate kids and really be the formula for getting them to ask for healthy meals and hopefully more plant-based meals. Caryn Hartglass: I like it because it’s gentle, it’s not scary, you’re giving children an appropriate message and they can get the information and they can make good choices on their own as a result. And it’s very, very simple, there’s not a lot of text here, but it’s powerful in its simplicity. Barbara Cole Gates: Well that’s one of the keys of a picture book that I learned by joining the Society for Children’s Book Writers is that you want to let the photos do the heavy lifting. So for children at a young age you want the photos to really impact them, and I think we’ve chosen some beautiful, engaging, compelling photos. Caryn Hartglass: Absolutely. You know you said that it’s not for older kids, but it’s funny because older kids, and even the older ones, the adults, are very much into brief messages and pictures called memes. Everybody’s into these memes! These attractive pictures, compelling picture with a little text, because nobody wants to read a big heavy book anymore. Barbara Cole Gates: Well, here’s the thing, in school kids are being introduced to chapter books now at a very young age, and that’s why this particular form of our lesson is for K-3. That being said we’re creating a book for grades 4 through 8 which will be an interactive reader, and it will still have wonderful photographs but it will be heavier into the text and a more in depth message. So we’re working on creating that for the upper elementary and middle school grades because that’s what the education system is calling for with common core standards. Caryn Hartglass: Great. How old are your kids now? Barbara Cole Gates: Caryn when I met you in 2003 that was 13 years ago, my son was 10 and now he’s 23 and he’s in his final year of college. Barbara Cole Gates: Yeah, and he started a vegan club at Humboldt State University, he’s working on getting the banners hung in his dining hall. As is my daughter at Monterey Bay, Cal State Monterey Bay is working on getting the banners hung in her dining hall. So the banners are appropriate if there are any college listeners or parents of college kids they’re appropriate for college dining halls as well. We have to get this message out that beans are the answer! They’re beautiful and delicious and they are the only meat alternate allowed in our National School Lunch Program. Caryn Hartglass: Well you have plenty of experience because as you raise those children and you know what the challenges are getting kids to eat healthily. But a lot of it, in addition to the education which we desperately need in the schools, there’s the home component too which I’m sure you know is very important. Anything going on with Lean and Green where you’re educating the parents as well as the kids? Barbara Cole Gates: Well I’m so glad you asked! So, in addition to… no really that wasn’t planned! Barbara Cole Gates: Well in addition to the book and the curriculum that is being created to go with the book for classrooms for youth groups, our signature program is called the Daily Scoop of Good Nutrition News. And this was years in the making, but because teachers, the reality is, there are a lot of teachers out there who don’t have time or don’t feel like they have time to make nutrition a year-long or regular component of their curriculum, this is a program where it’s a nutrition tip a day. And so when a teacher has her opening routine, they’re doing the flag pledge, they’re going over the letter of the day, what’s the weather like, let’s count our numbers, how many days have we been in school, you know teachers like to do this opening routine with their greeting. They can add the Daily Scoop of Good Nutrition News and each monthly issue, it’s totally free, it is getting rave reviews from health professionals and education professionals, because it elevates nutrition education to a daily practice without adding more than 30 seconds to a teacher’s busy routine. And every month we feature a harvest of the month, in a lot of states there’s a public health initiative or campaign called “harvest of the month.” So if anybody in any states Google’s “harvest of the month,” you’re likely to come up with a the public health program that is trying to get schools and food service to introduce new produce, new fruits and vegetables, so we can increase consumption of fruits and vegetables. And so sort of a spin-off of that is the “cool bean of the month,” so the students are introduced to a harvest of the month and a cool bean of the month, and the cool bean, what’s so super cool about it is each bean has a multi-cultural connection. So we start out with America’s bean, and it’s a very patriotic bean. Caryn would you like to take a guess of what the American bean might be? Barbara Cole Gates: Isn’t this fun? See how fun this is? Caryn Hartglass: Yeah! What’s the American bean? Barbara Cole Gates: Well you need to think patriotic so it’s the navy bean. Barbara Cole Gates: And navy beans got their name because they were a staple for keeping our military strong in the Navy. Isn’t that wonderful? Caryn Hartglass: That’s great; yeah it’s wonderful, yes! Let me ask you, I think it’s really smart when you tap into programs and campaigns that already exist and are around and available, it makes it a lot easier, and then you kind of guide it in the direction that you want to go. I know we were both influenced by Antonia Demas who did this with her first book Creating Recipes from USDA Commodity Foods, and showing that you could use plant-based foods and still fit the plan without using animal foods, but this is great using this harvest program. I remember a few years ago you were talking about this wellness program that all the schools have to have as well. Barbara Cole Gates: Yeah, and I’m really glad you brought that up too. And before we just leave Dr. Antonia Demas and her incredible Food Studies Institute and Food is Elementary, I do want to say that she was very influential in creating the Daily Scoop. She has curriculum, kids’ books from around the world with different beans and she made a cultural connection, so it definitely influenced and informed the Daily Scoop and the cool bean of the month. We all stand on her shoulders, she’s incredible. So about the wellness programs in schools, what I’d love all your listeners to know and realize is that starting in 2006, which really wasn’t that long ago in the scheme of the National School Lunch Program, it wasn’t until 2006 that finally schools were required to have a wellness policy. Caryn Hartglass: And that’s like open, you can really craft it the way you like to some extent. Barbara Cole Gates: Yeah, well the wellness policy is a living document and there’s a wellness committee that is also required if you’re taking part in the National School Lunches Program, if you’re reimbursed by the government for your lunches that are served, and most schools are, even private schools, then you have a responsibility, an obligation, to have a wellness policy that is updated regularly and has oversight by the wellness committees. And the wellness committees in general can be made up of school administration, school teachers, but also parents, community organizations, community members, businesses, and health professionals. So if you’re passionate about changing how kids eat, I encourage your listeners to call the district office of the school district that they live in and find out when the next wellness committee meeting is. That’s a great way to start getting involved and making connections, and most of my school presentations that I’ve been able to do have been through contacts and relationships that I made on the wellness committee. Caryn Hartglass: Well that’s a really super great tip and a great way to end this half hour, which I can’t believe is already over! So Barbara I wanted to thank you for joining me, thank you for writing Eating Lean and Green with Super-foods to Save the Planet. And just keep not knowing what you’re doing because you’re doing great! Barbara Cole Gates: Well thank you so much for having me! Caryn Hartglass: Okay, another virtual hug! Barbara Cole Gates: Mwah! Have a great day! Caryn Hartglass: Bye, bye Barbara! Okay, again that was Barbara Cole Gates, you can find her at LeanAndGreenKids.org, please visit that site especially if you’re a parent or involved with children. These are great resources to get our children to eat lean and green with super-foods that save the planet. Just before we move on to my next guest, I want to take a moment to talk about water. I remembered to talk about it last week and I left something out that I wanted to add. So, I like to talk about breathing, and breathing really comes in handy so often during the day, especially when we focus on it because when things get kind of intense, stressful, just stopping for a moment to breathe is really critical. And then the next important thing is water. I am so passionate about clean water. The thing that I didn’t mention last week, you know that I’m kind of crazy about this one particular water distiller. It’s made in the United States, it’s called AquaNui, it’s different than other water distillers and believe me I know because I’ve owned them, I’ve gone for the cheaper ones and AquaNui is more expensive than some of the others, there are some that even copy some of the cheaper ones that are even cheaper. The problem with other distillers is they distill the water in a container, stainless steel container, and the idea is the pure water is coming off in vapor and then condensing in these coils and cooling as water into your container, leaving the crap behind. The other distillers boil everything off so that the contamination that you’ve been carefully distilling off, some of it can get burned off and into the water you’ve just cleaned, which is kind of against what you want to do. The AquaNui doesn’t do that, it leaves a certain amount of water in the container that you can pour off so that you’re only getting distilled water to drink and the contamination is left behind. I think that’s a really important point. If you want to know more about it you can visit ResponsibleLivingAndEating.com, it’s on the home page, read more about it, or email me with questions at info@realmeals.org.